The military always stands ready to step in when requested to provide vital assistance here in the UK, and in the last year or so there have been several examples. 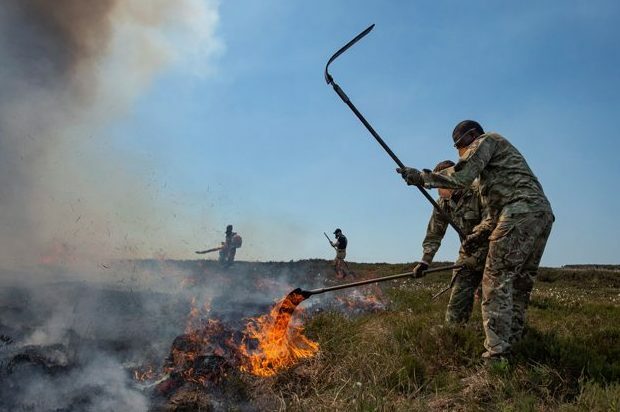 Soldiers from the 4th Battalion, Royal Regiment of Scotland, and an RAF Chinook assisted firefighters with the fire on Saddleworth Moor near Manchester. I work in the Overseas Region and Defence Training Estate team. Part of my role is to co-ordinate any contribution from DIO to any response by the Armed Forces to requests for aid from civilian authorities. We call this MACA, or Military Aid to Civil Authorities. An example of how DIO has assisted was the response to the Westminster terror attack last March. We provided temporary accommodation with round-the-clock catering facilities in various locations for military personnel who stepped in to guard sites to free up police officers for other duties. Probably the most common reason for military assistance is in response to adverse weather and natural disasters, which can affect the UK at any time of the year. Events such as the floods of summer 2007, the ‘Big Freeze’ in January 2010, the eruption of the Eyjafjallajökull volcano in Iceland and last winter’s ‘Beast from the East’ highlighted the vulnerability of infrastructure and essential services to disruption from severe weather and natural hazards. Damages caused by natural hazards can be significant - the 2007 floods alone cost the UK economy over £4 billion. Recent UK winters have seen severe weather from late November to early April, during which Defence has provided a range of support to the civil authorities. 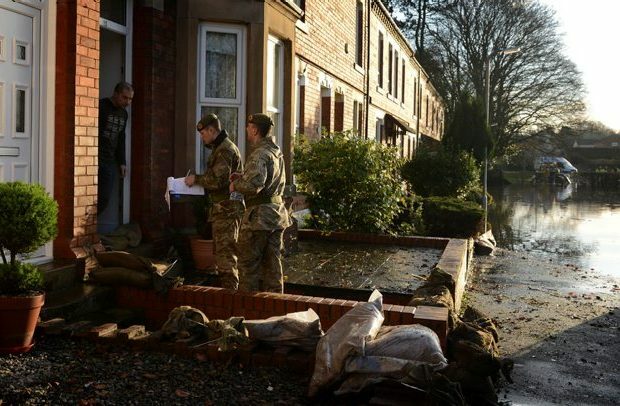 During the Cumbria floods in December 2015, the Armed Forces deployed in support of the civil authorities under Operation SHAKU. The operation lasted for one month and saw the deployment of around 750 personnel and a substantial number of additional forces placed on standby. The work required of these personnel was relatively straightforward and resulted in positive media coverage, but arguably set a precedent and expectation for subsequent UK resilience operations. There is a variety of support Defence could expect to provide in response to adverse weather under MACA arrangements including flooding, severe snowfall or high winds. Defence will be prepared to support the civil authorities in both emergency response and recovery. Potential tasks for Defence may include working to warn and inform the public in affected communities, helping with evacuation, transporting supplies, supporting emergency responders and providing additional communications infrastructure. DIO is required to make the Defence Estate available on a responsive basis in the event of a UK resilience operation following adverse weather. This typically includes providing accommodation, food and parking for agencies to mount their operations, and of course we have plans in place. Thankfully we are not often called upon to put these plans in to action, but it is a vital part of DIO’s role and something we all take pride in.